AsomBroso Del Porto starts with an award winning, 5-year French Oak barrel aged, 100% blue agave tequila, which is then rested an additional year in casks previously used to make a vintage port wine and imported directly from Portugal. The additional aging in the Port influenced casks of the already superb and full-bodied anejo creates a confluence of flavors and aromas that must be experienced by one’s self, because mere words are not enough to describe the multi-sensory sensations. 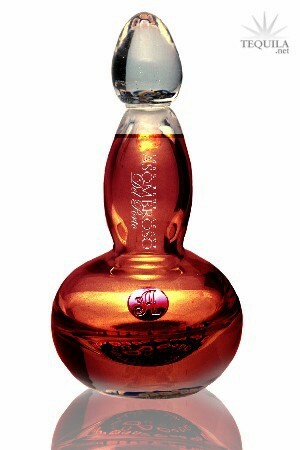 AsomBroso Del Porto can only be described in superlatives and must be sipped and savored to be truly appreciated. But owing to the aging and resting process, Del Porto by de facto, will be available to only a limited number of tequila fanciers. As such, AsomBroso Tequila have decided to celebrate Del Porto’s exclusivity by providing special carriage in the form of a crystal decanter bottle that replicates the original AsomBroso 18th century decanter down to the striking Millefiore design elements. Made in Italy, the Del Porto bottle is a hand made work of art that is a true decanter and comes with a crystal stopper to be used after the bottle is unsealed from shipping. AsomBroso Del Porto is vintage dated, signed and numbered, and available in extremely limited quantity.